Years may pass, but some brands don’t lose their charm ever. 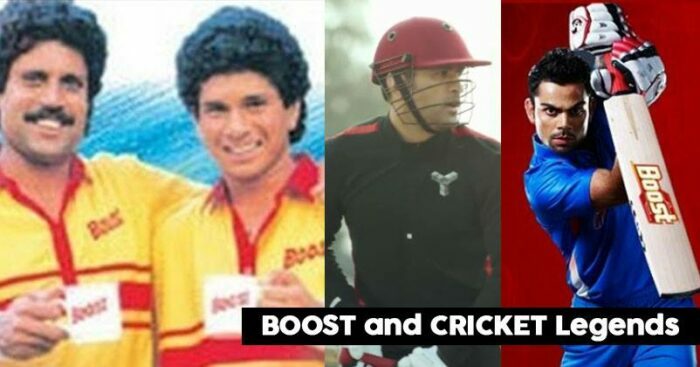 Even with the same tagline and same essence, Boost is one such brand that has been ruling the game for around 4 decades and advertised first some 30 years ago. It started with Kapil Dev as the face of the ad way back in 1985. Kapil endorsed the brand for good 4 years and then came the god of cricket, Sachin Tendulkar. Since 1991, Tendulkar remained with the brand for almost 2 decades. From ‘Boost is the secret of my energy’ the ad also saw a variation with ‘our energy’. Almost every 90’s kid would relate to the ad and said these words at some point or the other. Then Virendra Sehwag and MS Dhoni also endorsed the brand and today we see the current heartthrob of cricket, Virat Kohli uttering the same familiar words. The current ad has been created by J Walter Thompson and is part of the bigger campaign #PlayBiggerGame with the same brand positioning of stamina based drink. The malt-based health drink by GlaxoSmithKline Consumer Healthcare has been around for over four decades. Launched in the mid-1970s the brand was the first in its category to use a celebrity endorser to convey a proposition like energy.